I hope everyone has had the best back to school year ever. In honor of the fall equinox and Teacher Author Appreciation Day, I'm teaming up with some 15 other TpT sellers and collaborators to bring you an amazing weekend of steals, and #tagday deals and giveaways for grades 3-6 and SPED. You don’t want to miss out on this SALE, so be sure to mark your calendars. It begins Friday Sept. 23, 2016 @12 am EST and ends Monday Sept. 25, 2016 @ 12 am. 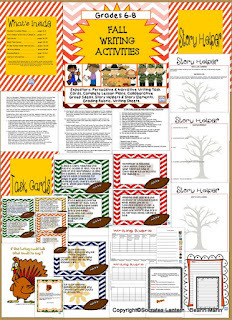 First up a set of Fall Writing Activities with everything you need for the season. 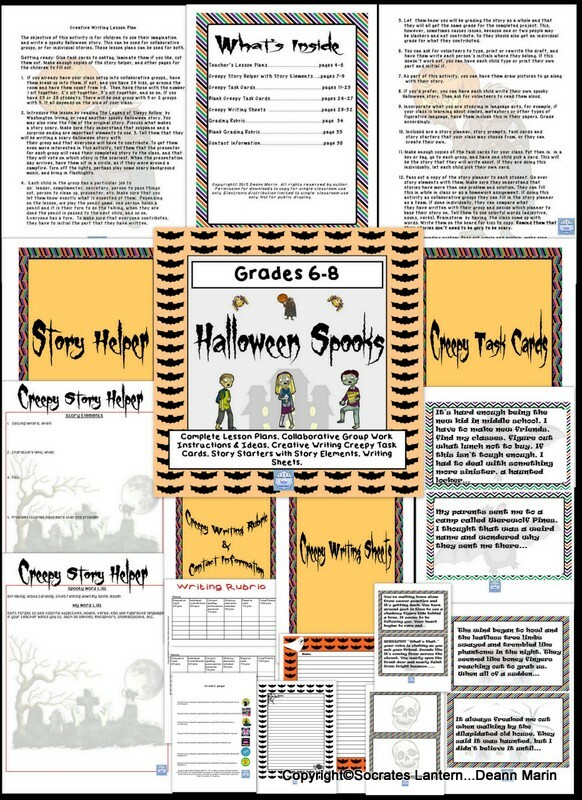 32 Writing task cards consisting of Expository, Persuasive and Narrative writing ideas and story starters. 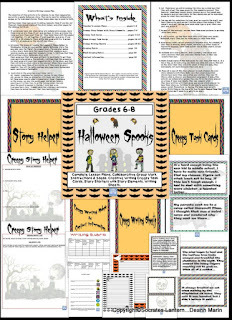 Themes include Veteran’s Day, Thanksgiving, Sandwich Day, Election Day, Candy Day and Cake Day. As an added extra, a humorous poster of a thinking turkey with the quote,"If this Turkey Could Talk, What Would He Say?" Great for discussion and or written assignment. campfire, they can use flashlights for the effect. Turn off the lights, play some scary music and set the stage. 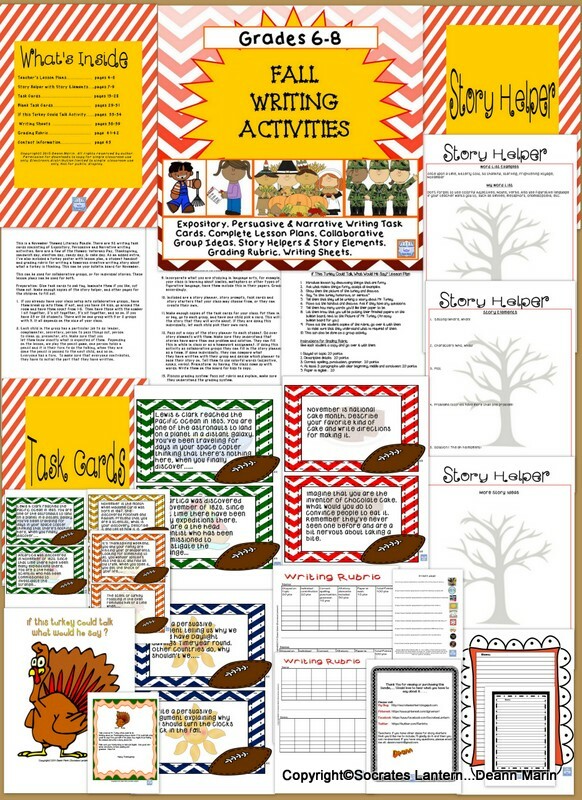 Thanksgiving is just around the corner, and my final resource being offered , is called, What am I Thankful For, and includes a values lesson that will help your students think about this. FINALLY, we’re holding a RAFFLECOPTER for a chance to win a product of your choice, from one of these awesome stores. So be sure to enter by FOLLOWING my store and /or others. The more stores or Facebook pages you like, the more chances you have to win. 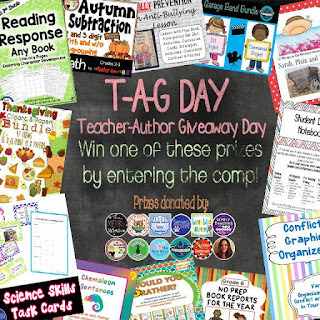 Type #tagday at Tpt to find all the shops that are in this FALLWONDERFUL SALE!